Racist thumb Jeff Sessions has issued a new, stomach-churning decree: On Monday, he instructed immigration judges to reject asylum applications from victims fleeing domestic violence or gang violence. This will block “tens of thousands of people, especially women, from seeking refuge in America,” the Los Angeles Times reports. 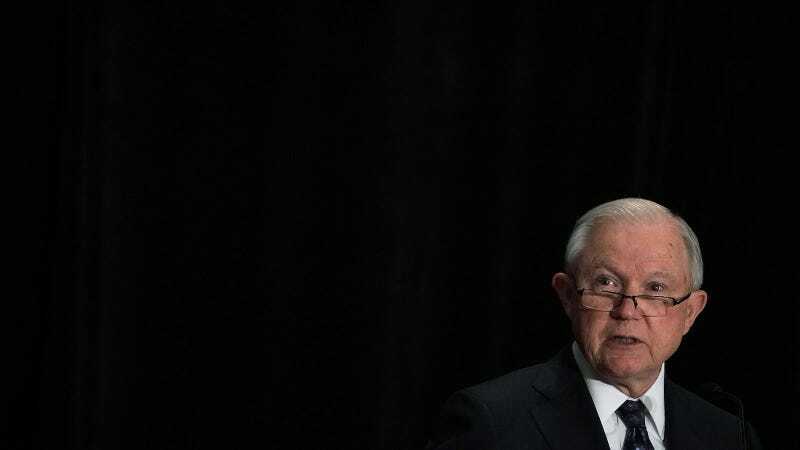 Sessions also announced that the administration is hiring “more than 100 new immigration judges this calendar year” and expects each judge to clear 700 cases a year, on average, while adhering to the new decision.